All Westchester homes currently listed for sale in Westchester as of 04/19/2019 are shown below. You can change the search criteria at any time by pressing the 'Change Search' button below. If you have any questions or you would like more information about any Westchester homes for sale or other Westchester real estate, please contact us and one of our knowledgeable Westchester REALTORS® would be pleased to assist you. "One Westbluff Home - 180 view corner lot - large yard - 4 bedroom en suite plus formal living room - dining room - laundry room - office - double attached garage - custom tile and marble thru out - wood floor first level - Amazing master suite with sitting area and balcony - Chef's kitchen BY APPOINTMENT ONLY SHOWINGS -"
"Another product by Homzzdesign. This impeccable new modern home is the definition of luxury living. Thoughtfully designed w/unbeatable functionality & flow. A bright & airy living area welcomes you w/open space, 14' ceiling & walls of glass all seamlessly leading to the yard creating the ultimate indoor/outdoor experience. Italian stucco accent walls surround the house creating a luxurious feel to every corner. 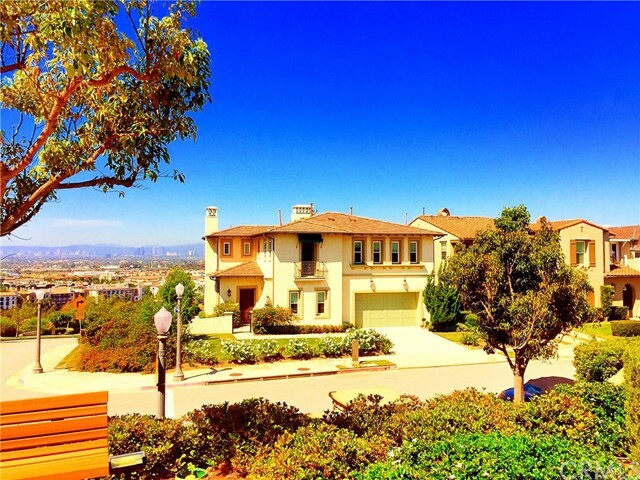 Custom Italian kitchen w/Miele appliances & center island overlooking stunning views. A Japanese Zen garden is situated outside the master suite, features a large walk-in closet & master spa-like bath w/Italian marble & rain shower. The backyard is out of a dream w/spectacular views, bamboo deck, sleek fire pit, and massage waterfall. Outdoor movie screen system allows you to relax in the hot tub while watching your favorite film & enjoying the surround system. 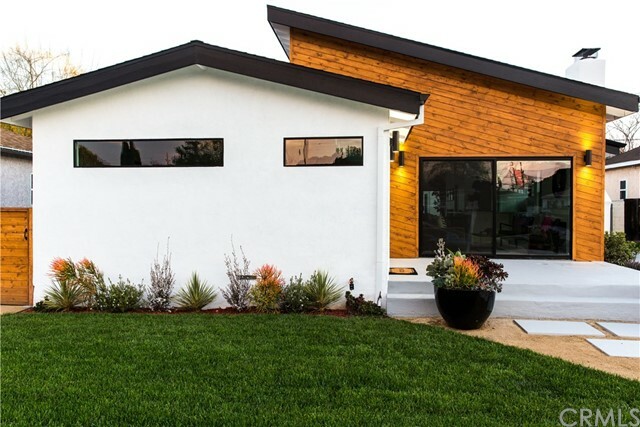 No expenses were spared in building this smart/green home located in a highly desirable Silicon Beach neighborhood." "This home is priced to sell! 119,00 dollar price reduction on this amazing home! Motivated Sellers! Welcome to this Silicon Beach stunner! 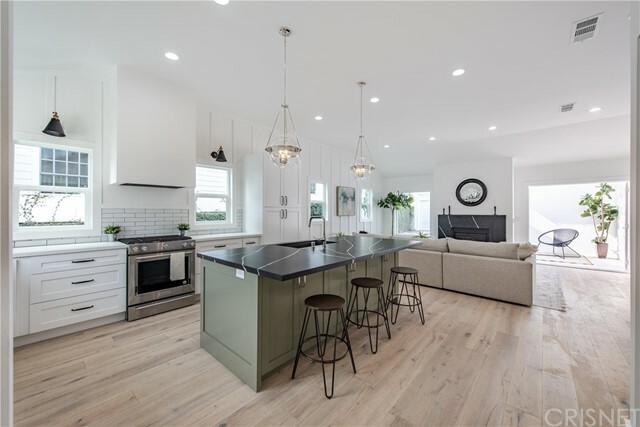 This incredible modern home located on one of the most sought after cul de sacs in Westport Heights features maple hardwood floors, new high efficiency Anderson doors and windows along with newly upgraded air conditioning units. Sit comfortably on one of several decks or in the jacuzzi while taking in the expansive city lights and mountain view. You won't be disappointed when preparing a meal in this stylish state of the art chef's kitchen featuring top of the line appliances like Subzero, Wolf, Viking and Bosch. Two story high soaring ceilings in the great room add to the wow factor of this dream home! The main floor master bedroom retreat comes complete with a fire place and gorgeous marble feature wall. Downstairs there is a large bonus room currently used as a gym/entertainment room. Upstairs are three newly carpeted bedrooms with two bathrooms - one which is ensuite. Don't miss out on an opportunity to live in this highly sought after neighborhood close to Playa Vista. Schedule for a private showing." "Custom built Kentwood Estate boasting over 3,000 sq ft with five bedrooms and four bathrooms. Featuring a Spanish design with paver driveway and wrapping balconies. As you enter this custom home, the marble floors and a warm fireplace welcomes you into the formal living room and dining room. The gourmet kitchen features split level quartz counter tops, solid wood cabinetry with an espresso finish along with Thermador appliances. An iron wrought stair case leads you the the second floor where you will find the master suite equipped with a dual shower, dipping tub, walk in closet and private balcony fit for a king and queen. Each bedroom is oversize with plenty of closet space. A fully landscaped backyard is perfect for entertaining. 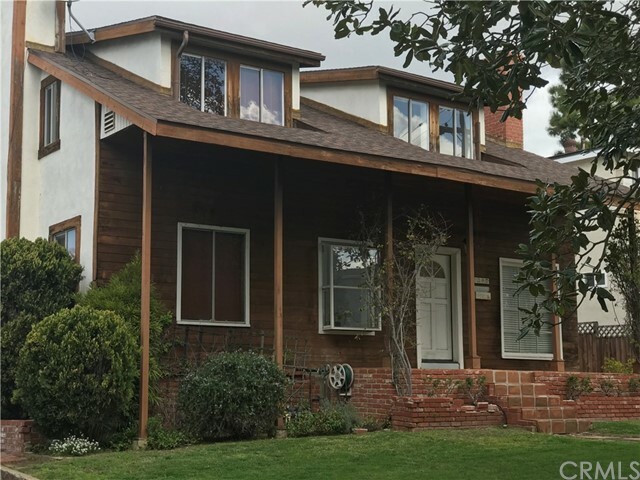 This home is ideal for large families and strategically located to provide easy access to local shopping centers, freeways, LAX and everything LA Living has to offer." "Stunning Kentwood Complete, Home Rebuild in Great Westchester Neighborhood. 3 Bed 3.5 Bath Contemporary, Spacious,Open Floor Plan. Beautiful Hardwood Floors,Vaulted Ceilings,LED Recessed Lighting,Skylights,Two Stunning Fireplaces, in Family Room and Living Room. Gourmet Kitchen with SS Appl. Wine Cooler, Quartz Counter Tops, Huge Island, Farmhouse Sink, and Large Pantry.Beautiful Powder Room off of Living Room. Master Suite with Lovely Gas Fireplace,Walk in Closet (Elfa System),Dual Vanities, Massive Shower, and Sliders to Back Yard. 2 Addit'l Bedrooms Each with Own Bathrooms. Laundry Closet, New Central Heat and Air, Mil-guard Dual Paned Windows, Tankless Water Heater. Ring Doorbell. Garage has been Converted to ADU (Accessory Dwelling Unit)with Separate Address, Reinforced Foundation and All New Framing. Stone Composite Flooring, New Heat/AC, Full Kitchen,Huge Shower, Sliders, Dutch Door,Tankless Water Heater, Separate Electric Meter. There is New Landscaping, Exterior Lighting, New Gates, All New Rain Gutters, Sprinkler System and Per City, Fire Sprinklers in Main House and ADU. Rebuild By Bateman Construction. Architect Benjamin Ballentine, Ballentine Architects. 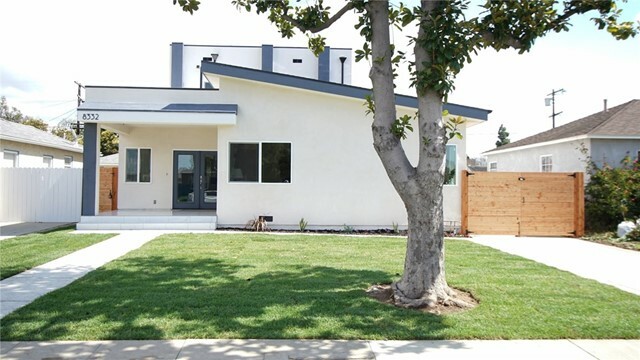 House Square Footage 2175 ADU 450"
"California living at it's finest Introducing a stunning single-story home in the Kentwood neighborhood of sunny Los Angeles. Upgrade your living in the completely remodeled property, which features 3 bedrooms, 2 full baths, and a spacious master suite equipped with a large walk-in closet. The entire home gives you the best of California s trademark indoor-outdoor living, but you ll absolutely fall in love with the luxurious marble-tiled walk-in shower that lets you stand or sit under a cleansing waterfall. Your seller, a professional designer transformed the space into a contemporary sanctuary. The brand new construction and design includes a kitchen island that opens to the family room, a separate dining room, raised ceilings, and two fireplaces. The bright kitchen is perfect for family dinners and will dazzle your guests with its quartz countertops, and custom-made shaker kitchen cabinets. Along with handcrafted subway tiles the kitchen features wainscoted walls that match your master bedroom. Around the rest of your home, you ll enjoy a tiled patio off of the family room for an outdoor vibe from the comfort of your sofa, and a converted garage that can effortlessly be permitted as an additional dwelling unit. Finally, feel at ease with a gated driveway for privacy in your outdoor space and revel in knowing your new home lies in the coveted Cowan Elementary School District making it one of the safest neighborhoods in L.A."
"This ONE LEVEL beautifully remodeled home is located on coveted El Manor Avenue in prime North Kentwood! Known as one of the BEST blocks in the area, this super family-friendly tree-lined street is famous for its annual 4th of July block parties, its winter snowman displays, and its terrific Halloween! This bright, airy, and super spacious home was designed with a fantastic open concept floor-plan that flows perfectly from the living room to the gorgeous kitchen, which is at the center of the home, and opens right onto the dining room & family room. The kitchen boasts stunning white quartz counters, beautiful white cabinetry, new appliances + giant walk-in pantry. There is also a big cooking island with bar seating for four. The adjacent family room has cathedral ceilings & a slider that opens right onto the lush & private grassy backyard! What a perfect home for entertaining your family & friends! You'll love the gorgeous hardwood floors in the living areas! The big master suite has tall cathedral ceilings, a giant walk-in closet w/ organizers + a gorgeous European master bath with waterfall shower, soaking tub, dual trough sink, refrigerated medicine cabinet, and a big skylight for super natural lighting! The additional two bathrooms are also beautifully remodeled with modern finishes. Home could work perfectly for in-laws or dual family living (add wall at end of living room) Upgrades include: Newer windows, A/C, copper plumbing, main electrical panel, plantation shutters." "STUNNING MODERN HOME!! 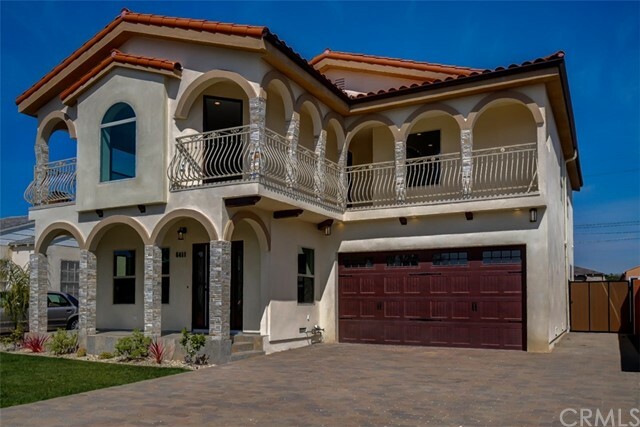 Fall in love with this tastefully rebuilt two story home. Pleasing open floor plan with rich natural light. Features 4 bed, 3 full bath plus a guess baths, 2311 sq.ft. Spacious bright living room with a NEW wall mount electric fireplace. Cozy family room perfect for relaxing. Enjoy cooking in the NEW Gourmet eat-in Chef's kitchen, custom cabinetry & quartz countertops, large center island with breakfast bar, NEW stainless steel appliances and wall wine rack. NEW natural maple engineered hardwood flooring throughout the home. Master suite features His & Her large closet, charming sitting porch overlooking the backyard, NEW master private bath with a soaking tub and separate walk-in glass shower, his and hers sinks vanity with LED mirror with sensor. NEW roof, NEW plumbing, NEW electrical wiring and panel, NEW double-pane windows, NEW recessed lighting, NEW central A/C and heating, New tankless water heater, inside laundry room with washer-dryer hook-up. Private entertaining secluded backyard, host your summer barbecues in the beautiful NEW gazebo. Long NEW paved driveway with a NEW wood gate door, 2 car detached garage of 363 sq.ft. This property has pre-wired for satellite, outdoor cameras, 3rd generation NEST thermostat. Fresh exterior & interior paint, New landscaping with automatic front & back sprinklers. Desirable location!! Minutes away from Silicon Beach's tech hub, Playa Vista's Runway, Westside and more... Residence ideal for modern living!" "This charming 4 bedroom/3 bathroom home sits on a large lot in coveted North Kentwood. Curb appeal abounds as you enter this home, situated at the end of a quiet cul-de-sac. Once inside, you will find the roomy light filled living room with hardwood floors and cozy fireplace. Hallway leads to three large bedrooms with newly remodeled guest bath. The ample master bedroom with en-suite bath, situated at the rear of the home, is a private retreat. Formal dining room adjoins kitchen with granite countertops, stainless steel appliances and Viking range. At the heart of this home is its spacious family room with bar area and fireplace. French doors off the family room open onto deck with built-in barbecue, allowing full enjoyment of the private and serene backyard with bonus room off garage. Located in the heart of Silicon Beach, close to shopping, beaches and dining." "Located on a quiet Magnolia tree lined street of Westchester, 4 bedrooms and 2 baths single story home. Enjoy the natural sunlight and a refreshing coastal breeze across the street from Emerson s Community Gardens. Interior features Hardwood floors throughout, a private master bedroom in the rear of the house off of the den. Formal dining room separating 3 sizable guest bedrooms, a modern kitchen with stainless steel appliances and black granite countertops. Spacious and well-lit attic storage with easy access extra wide ladder. Newly installed R30 insulation and a 1-year-old central AC system with central heating. The whole house was professionally equipped with Cat 5 cable wires and all copper plumbing. Private back and side yard for entertaining guests with easy access to the detached 2 car garage. Mature grapefruit, lemon and green fig trees around the property. In the school boundaries for coveted Kentwood Elementary (Voted Best Neighborhood school since 2017) and across the street from one of Westchester s best charter schools. Walking distance to Vons, Minutes to Playa Vista's Runway, Google, & Facebook! Close to LAX, The Howard Hughes Center, the new state of the art NFL stadium, Westfield Shopping Center, Loyola Marymount College, Otis of Art College, and minutes to the beaches and Marina Del Rey." "A great opportunity to remodel and/or build your dream home situated on this beautiful tree lined street West of Lincoln Blvd. in one of the most desired areas of Westchester. This 2,038 SqFt home sits on a spacious 5,996 SqFt lot with detached garage, spacious back yard, and a short distance from shops, restaurants, Playa Vista, Marina del Rey, and Silicon Beach to the North, LAX to the South, and to the West, beautiful beaches, the ocean, and a coastal bike path that stretches 22 miles along the coastline from Redondo Beach to Pacific Palisades." 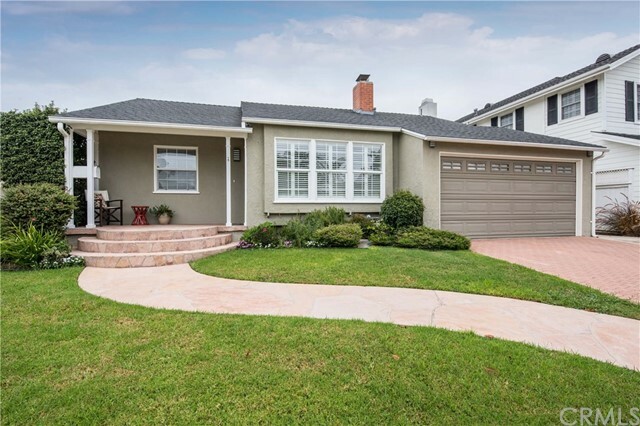 "Located on a tree lined street at the crest of a hill, this remodeled one level home is sure to delight. The flexible floor plan, currently used as 2 bedrooms + a family room, is stylishly upgraded throughout with a contemporary touch. Features of this special property include: Front entry opening to the spacious living area + formal dining room. Light filled kitchen with quartz countertops, shaker cabinetry, LG stainless appliances. Remodeled full bath with subway tile & double sinks, quartz countertop + half bath with glass tile backsplash & quartz. The comfortable family room has an open beam ceiling, wood burning fireplace & sliding barn door with a French door opening to a large covered patio for easy indoor outdoor living. Separate laundry room off the kitchen with LG side by side washer & dryer. Plantation shutters, hardwood floors, recessed lighting, mirrored wardrobes, tankless water heater, LAX retrofit windows. Additional upgrades: New garage door + opener (installed in March 2019), freshly landscaped lawn and garden beds + new automatic sprinkler system (installed in April 2019). Loads of closet, cabinet and storage space throughout this turnkey property plus a separate attached workshop off the garage for the tinkerer and a wonderful wall of windows in the large back yard for all of you aviation enthusiasts. Enjoy the pastoral, dunes, ocean, and airport vistas from this lovely property. Absolutely move in ready!" 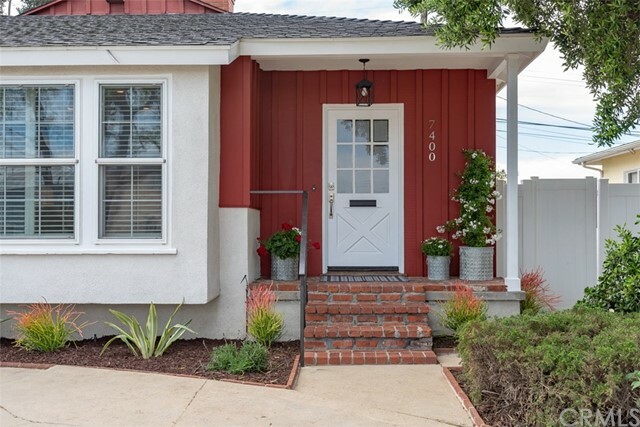 "Charming home in the very desirable Westchester neighborhood! Great curb appeal with classic shutters showcasing a bright entrance. 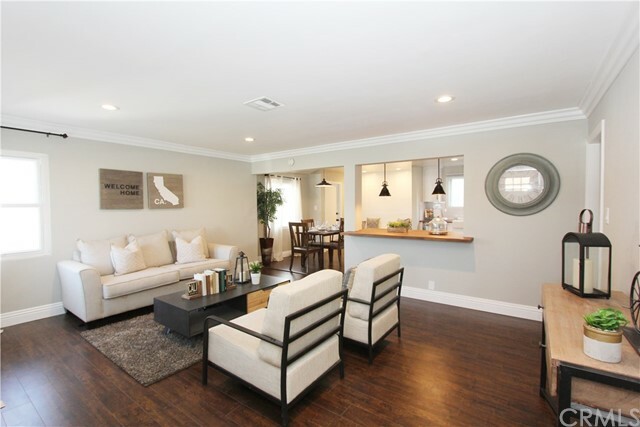 Living room has ample space, brightened with recessed lighting, and upgraded hardwood laminate flooring. Kitchen is a homemaker s dream - shaker white cabinets, butcher block wood counters, farm sink, spacious island, and new stainless steel appliances. Master bedroom is spacious, with newly updated bathroom finishes, fireplace, walk-in closet, beamed ceilings, and double sliding doors leading to the yard. Two other bedrooms and another bathroom, complete with bright shower tiles, pedestal vanity, and new light fixtures. Backyard is more than enough room for you to transform into a landscaped beauty."